The natural beauty of the world. Click to enlarge. 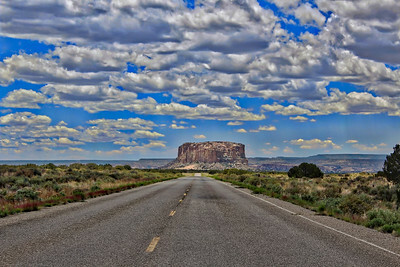 Enchanted Mesa rises above the Acoma Pueblo Indian Reservation in New Mexico. 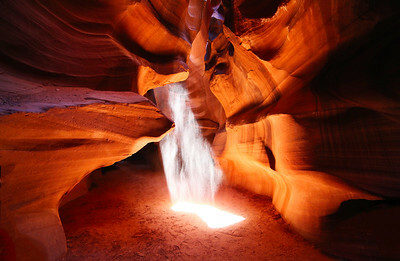 Sunlight and sand play inside Antelope Canyon on the Navajo Reservation in northern Arizona near the Utah border. 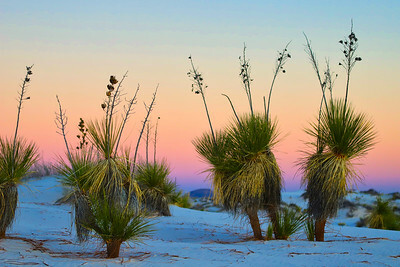 Yuccas glow in the sunset at White Sands National Monument in New Mexico. 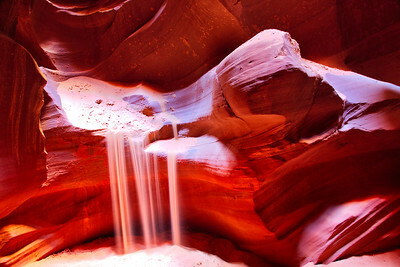 The sands of time in Antelope Canyon on the Navajo Reservation in Arizona. 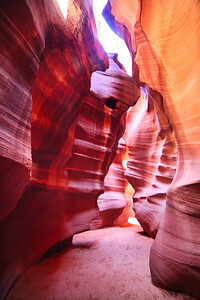 Antelope Canyon on the Navajo Reservation is a mystical place. Is this just sand playing in the sunlight or my spirit guide? 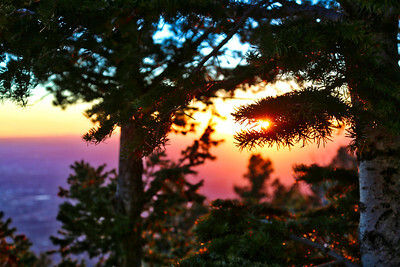 The sun sets as seen from atop Sandia Crest (10,678 feet) to the east of Albuquerque, NM. 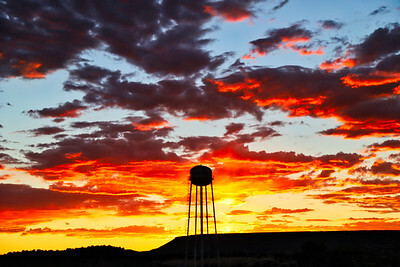 Amazing New Mexico sunset in Laguna, NM. 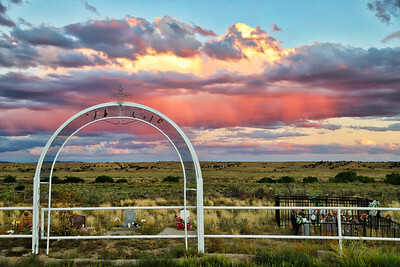 The colors in the sky seemed to dance above the abandoned grave yard in the almost ghost town of San Luis, NM. 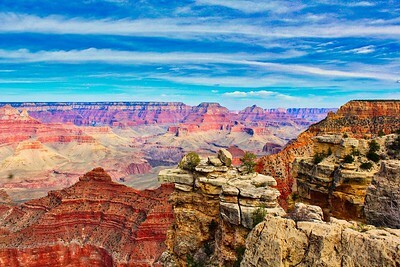 Words can't describe the grandeur of the Grand Canyon in Arizona. 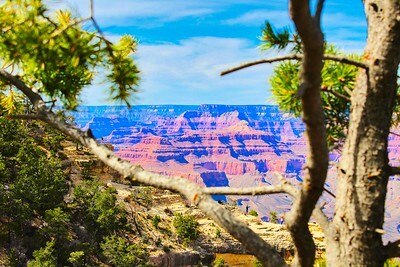 Staring across the Grand Canyon in Arizona. 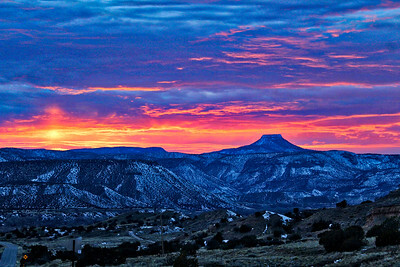 The sun sets behind Cerro Pedernal in Northern New Mexico. 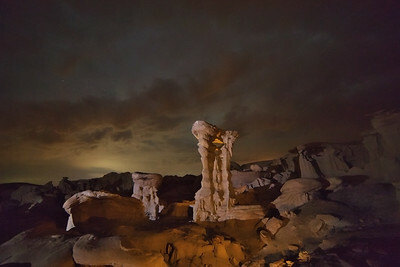 Pedernal (the flat top mountain) was a favorite of the artist Georgia O'Keefe and is where her ashes were spread. 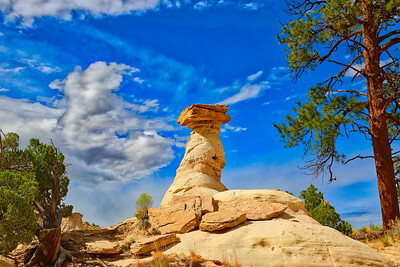 A hoodoo stands guard in the Ojito Wilderness area in New Mexico. Formed by wind and water erosion. The Sandia Mountains reflect in the water at Shady Lakes outside of Albuquerque, New Mexico. Not bad for an iPhone pic. 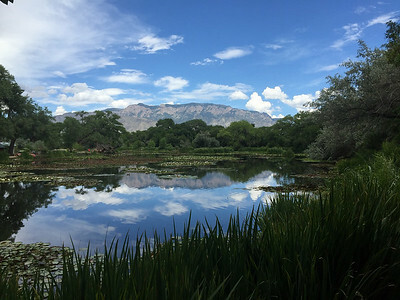 The Sandia Mountains reflect in the lake at Shady Lakes outside Albuquerque. 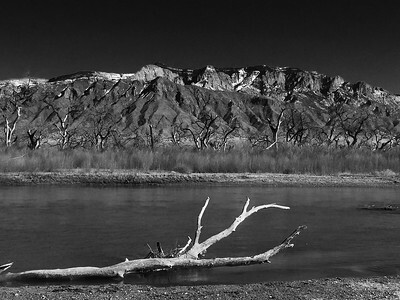 A touch of snow caps the Sandia Mountains as the Rio Grande River flows by. 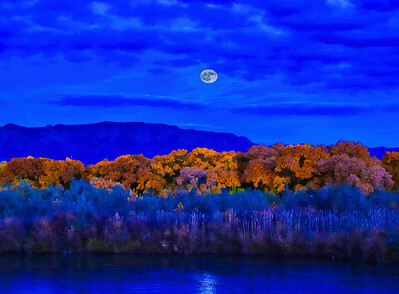 Fall colors in late October along the Rio Grande River in Northern New Mexico. 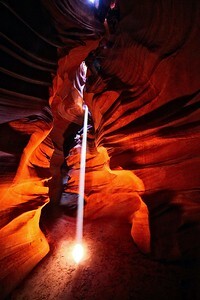 The sunlight inside Antelope Canyon is mesmerizing. This shaft of light only appeared for about a minute when the sun was in the perfect spot. It almost looks like water. 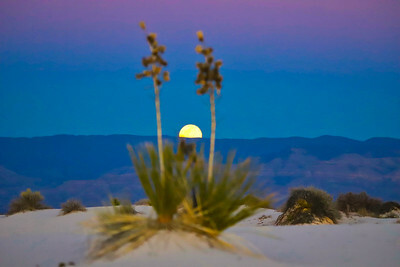 The moon rises over the Sandia Mountains and casts a reflection across the Rio Grande. Can you see the Eagle? 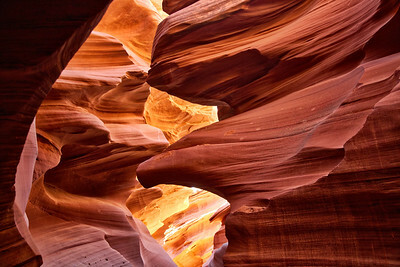 Another amazing formation inside Antelope Canyon. The path through Antelope Canyon. 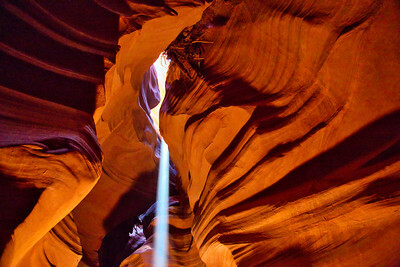 A beam of light comes streaming through Antelope Canyon. The beam is so strong it almost looks like water. 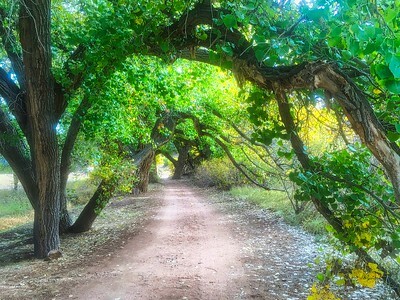 An Acequia (Spanish for irrigation ditch) in Albuquerque, NM. 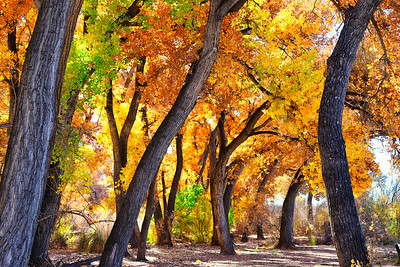 Another shot of the Bosque along the Rio Grande River in Albuquerque, NM. Fall colors are simply beautiful. Driving on Christmas Day and the sun began to set with this gorgeous color. I rushed to get to the windmill down the road and got there just in time to snap this shot. 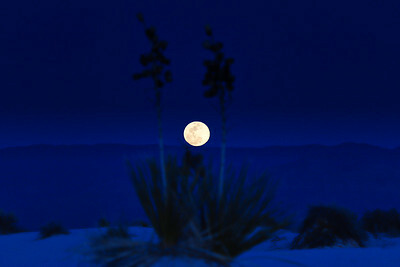 The full moon rise over the Yucca at White Sands National Monument in southern New Mexico. 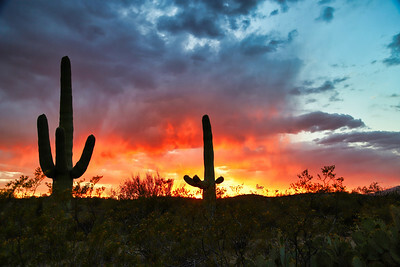 Sunset at the Saguaro National Park near Tucson, AZ. 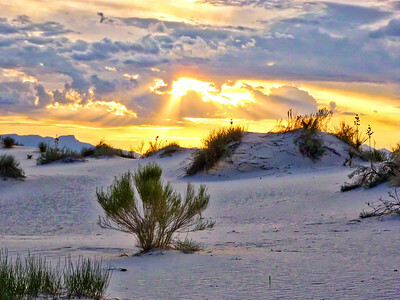 White Sands National Monument is a sea of white in the normally brown desert. This is also where the first atomic bomb was detonated. 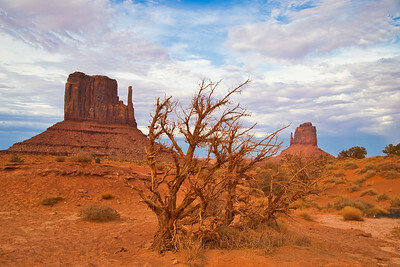 The beauty of Monument Valley. 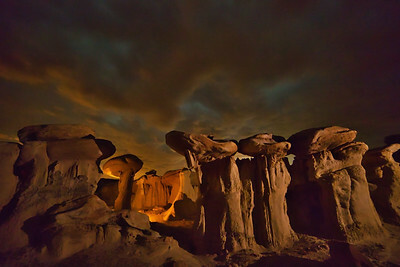 Mother Nature carved these beautiful formations over millions of years. 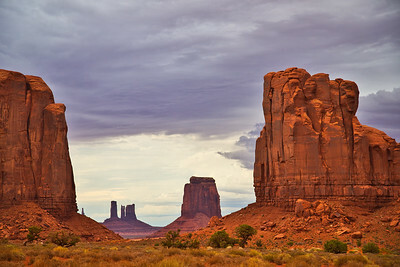 The Mittens in Monument Valley. 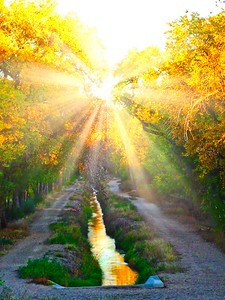 Where does your path lead you? 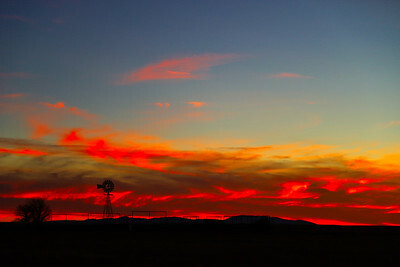 Sunset outside Phoenix. 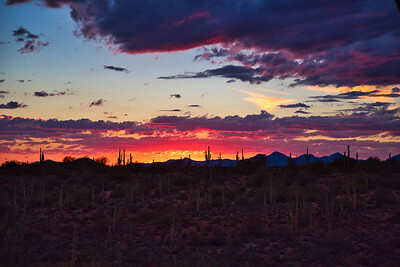 I love saguaros and seeing them silhouetted against the sunset is something I never get tired of. 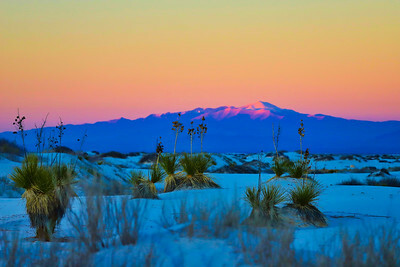 Yuccas stand out in contrast to the White Sands of White Sands National Monument at sunset.